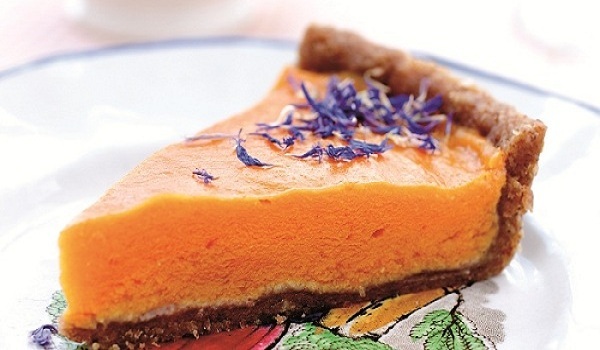 Our Papaya Recipes section contains a variety of delectable papaya recipes. Papaya is used in a variety of dishes such as salads, juice, shakes etc. Try our range of easy papaya recipes. 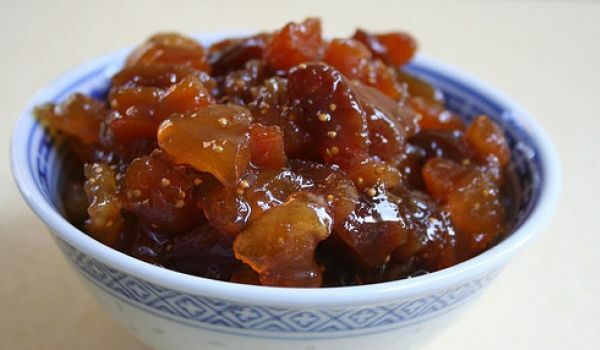 Papaya Pickle is a very tasty recipe. Learn how to make/prepare Papaya Pickle by following this easy recipe. If you are looking for a lip-smacking snack which can be prepared in a few minutes, Papaya Pudding is a great option. Papaya Pudding is a favorite during special occasions such as Christmas. 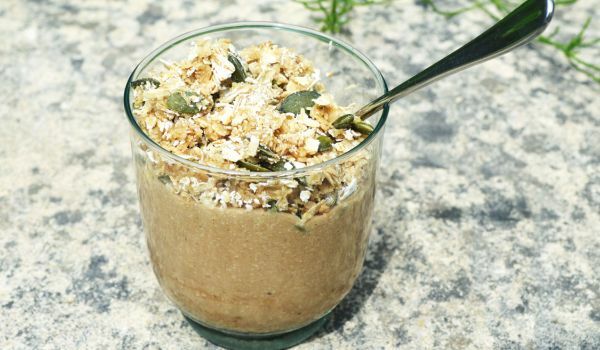 Papaya Preserve is both a delicious and a nutritious recipe. Learn how to make/prepare Papaya Preserve by following this easy recipe. 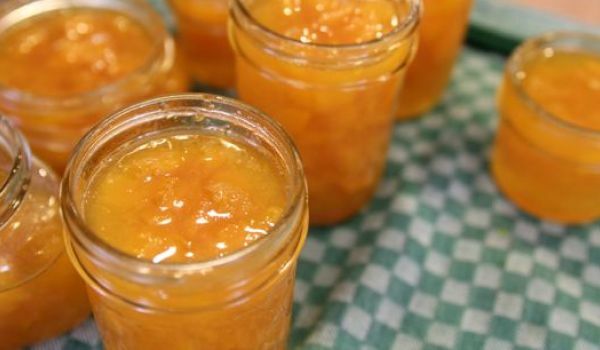 Mango And Papaya Jam is tasty fruit jam with the goodness of mango and papaya. 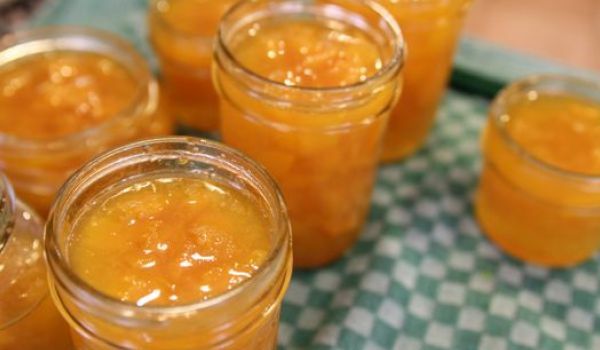 Learn how to make/prepare Mango And Papaya Jam by following this easy recipe. Since there are many amongst us, who aren't a big fan of papayas, here's a trick that will make you fall in love with this versatile fruit. Cook it with ingredients such as ginger, garlic, jaggery and tamarind pulp, to transform it into a delish tangy chutney. 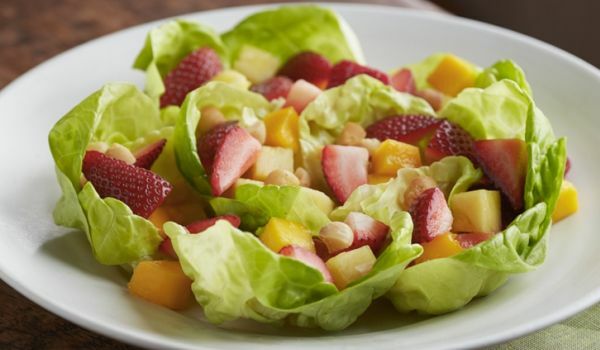 The healthy Tropical Salad is filled with fruits that are tasty and also rich in nutrients and minerals. Learn how to make/prepare Tropical Salad by following this easy recipe. Papaya Cake is a very popular recipe. Learn how to make/prepare Papaya Cake by following this simple & easy recipe. Salads serve as a perfect accompaniment to other dishes or even as a standalone dish. The carrot and raw papaya salad is easy to make and nutritious. Other green vegetables and fruits can also be used to enhance the taste. 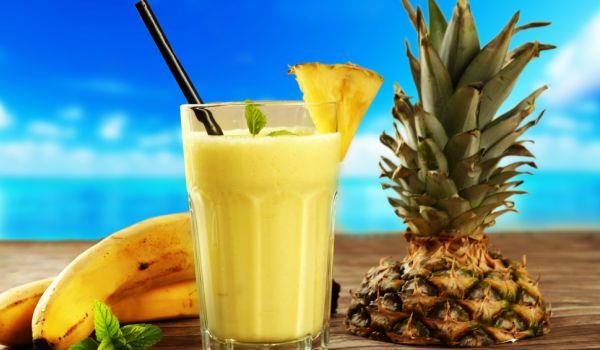 Papaya Cooler is a healthy and nutritious summer drink. Learn how to make/prepare Papaya Cooler by following this easy recipe. Milk And Papaya Refresher is a delicious drink with the goodness of papaya and richness of milk. Learn how to make/prepare Milk And Papaya Refresher by following this easy recipe. 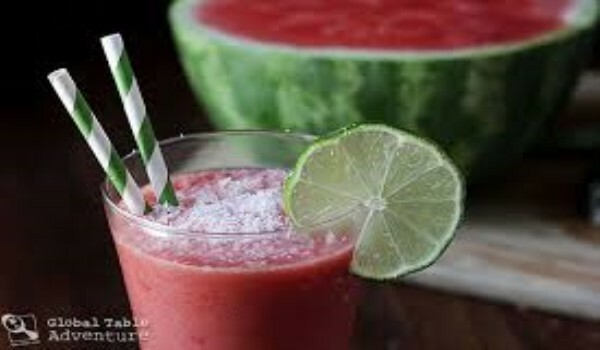 Tropical Fruit Punch is a very popular recipe. 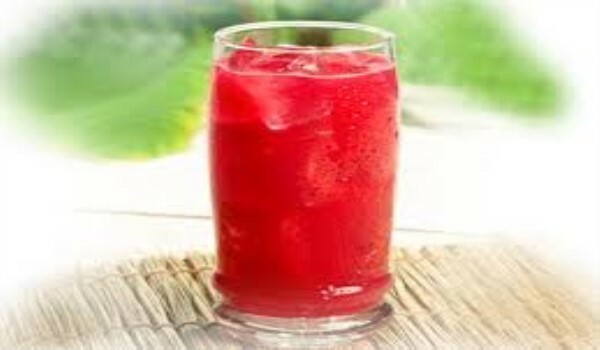 Learn how to make/prepare Tropical Fruit Punch by following this easy recipe. 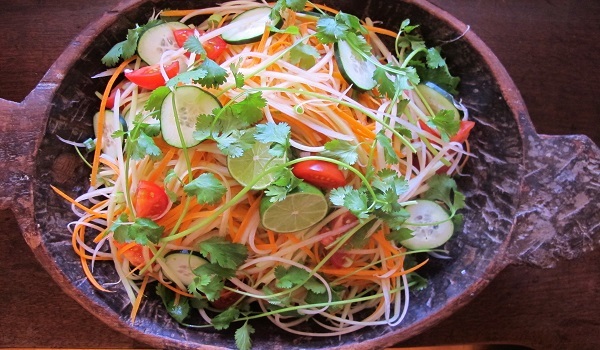 Raw Papaya Salad is a crunchy Thai salad. Learn how to make/prepare Som Tum by following this easy recipe. Plum And Papaya Treat is a very tasty and easy to make recipe. Learn how to make/prepare Plum And Papaya Treat by following this easy recipe. Green Papaya Salad is a very delicious salad recipe. Learn how to make/prepare Green Papaya Salad by following this easy recipe.